This recipe is absolutely full of sources of good fats in the form of flax seeds, sunflower seeds, and sesame seeds. It also features turmeric which has been shown to have an anti-inflammatory effect. Inflammation can be a recurring problem that, apart from impairing normal function including brain function, can quickly decrease quality of life. This colourful salad is rich in vitamins and is a significant source of calcium and iron which are important in reducing the risk of osteoporosis and anemia respectively. It also contains almonds, which aren’t actually a true nut, but rather the pit of a fruit related to peaches and cherries. 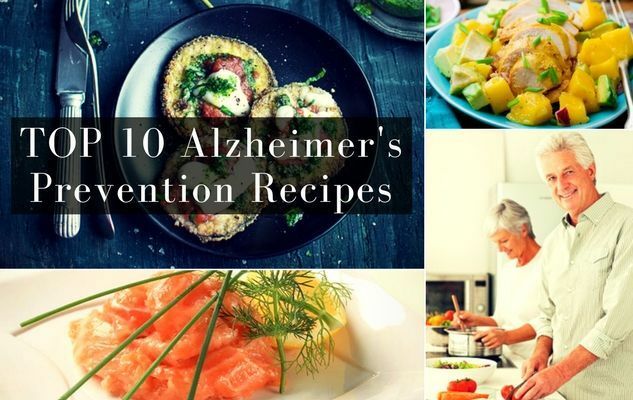 This recipe is great for those looking to eat well for their heart, which as it turns out, is also a great method of Alzheimer’s prevention since a heart-healthy diet also keeps your brain well-nourished and functioning well. For vegetarians, it can be difficult to find good sources of omega-3 fatty acids. Chia is a great option! It’s versatile and can take on different textures depending on preparation (you can even grow a funky plant sculpture for your cat to snack on…is that the same chia?). This pudding is a great introduction to this power-packed little seed. It’s silky and delicious, and who can resist fresh strawberries?